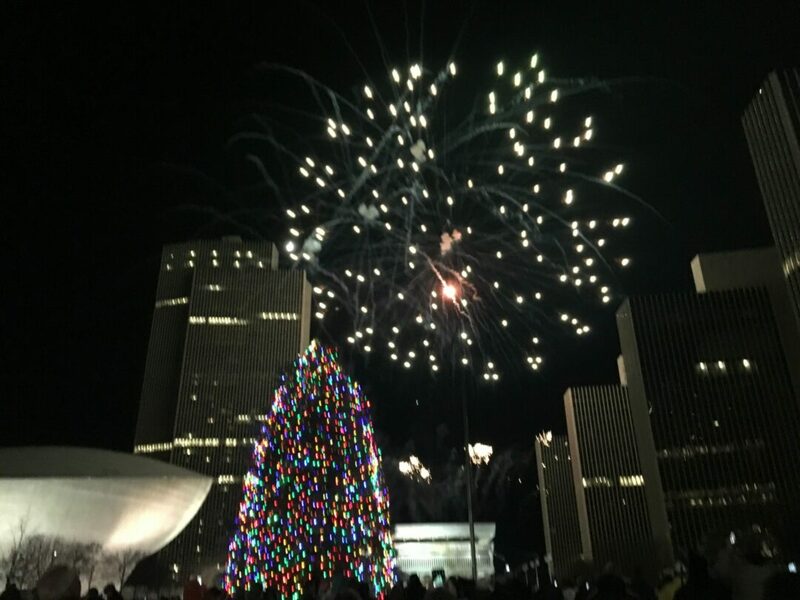 ALBANY— Hundreds of people braved the cold weather Sunday night and waited at the Empire State Plaza to see the lights on the New York state holiday tree across from the Capitol Building. The day leading to the tree lighting was filled with winter activities, including free ice skating, hot cocoa drinking, and Christmas caroling. This year, the tree-lighting ceremony was hosted by the News10 Morning Team and WTRY. This year’s tree is a 45 foot Colorado Spruce. Spectators were treated to an extensive firework show as well, after the tree was lit.